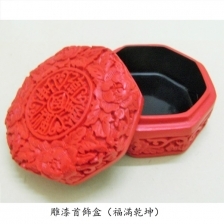 Remark: This box is made of chemical synthetic resin, not lacquer. Production method is duplicate asilicone mold from the original lacquerware, and then spray the synthetic resin into the mold by infusion gun. 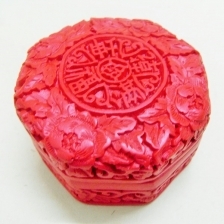 Nevertheless, the box pattern is vivid, at lower prices, more people can afford to keep it. There are motives on this box that implies Qian and Kun. Qian represents sky, Kun represents earth, therefore Qian Kun means universe. 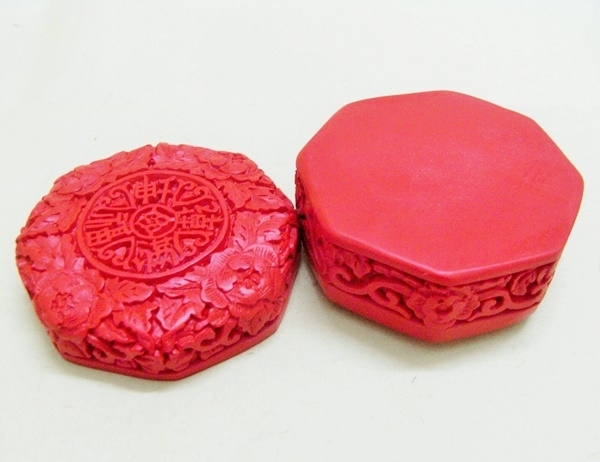 This design wishes receiver has very good fortune, big enough to fill up whole universe. The box is octagonal shape, meaning eight directions, indeed octagon refers to all domains, east, south, west, north, southeast, southwest, northwest and northeast. This further implies good fortune fill up all every corner. 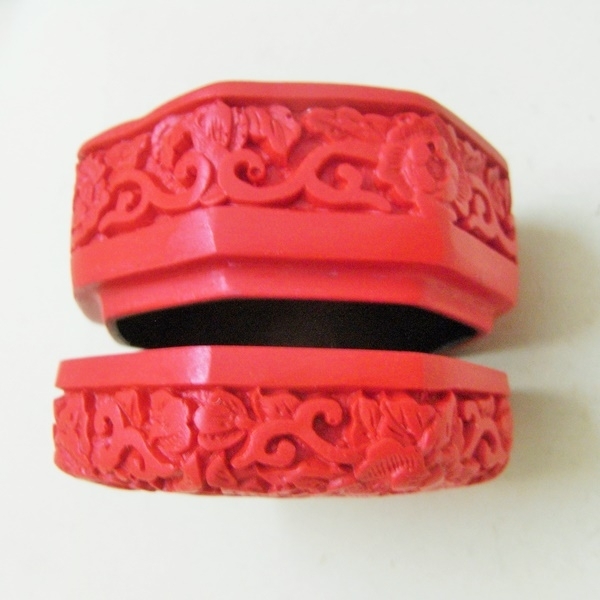 Carved lacquerware, Cloisonné, Jade, Carved Elephant Teeth are known as 'Chinesehandicraft big four’. There are few colours available, such as red, yellow, green, black, multi-colour. In earlier days, carved lacquerware had different names, one of them is named according to its colour, eg. 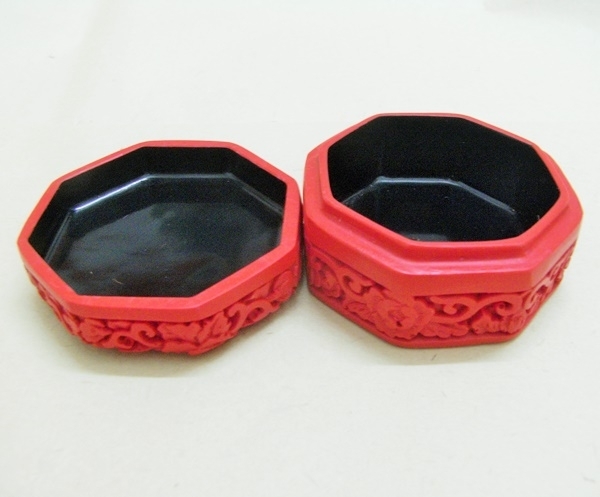 red lacquerware, yellow lacquerware and so on. 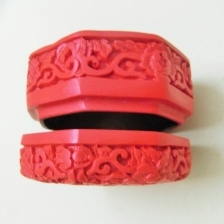 In the mid of Ming Dynasty, all the lacquerware were standardized to the name of DIAO QI (carved on the paint). Traditional lacquerware handicraft is done in very complex process, there are more than ten steps; including manufactured base, then paint layer by layer onto the base, painting, drying, painting again after dried, repeating these steps, ranging from dozens of layers, till as many hundreds of layers, when the paint layer up to a certain thickness, then use a knife to carved on the painted layer. This makes a part looks lively, three-dimensional.